Washi is a type of paper made in Japan from wood pulp, and is typically tougher than normal paper. Washi paper is handmade, often from the bark of the Gampi tree, the Mitsumata shrub, or the paper mulberry. Since Washi is not only sturdy (some types of Washi can be as resilient as cloth) but also waterproof, it has had many uses historically: money, toys, and containers have all been made out of Washi paper. Ryu Mei’s metal canisters are wrapped in colourfully decorated washi paper, and come in a number of designs, such as our Oboro, Aizome, or Kitano designs. 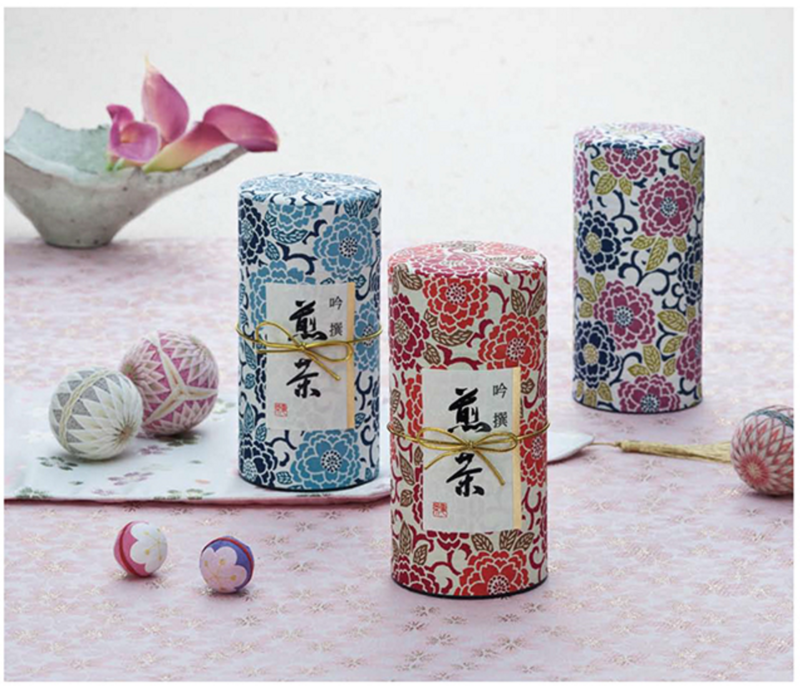 Kaori no Uta "The Song of Tea Aromas"
Taisho Romance 4 Season Canisters.